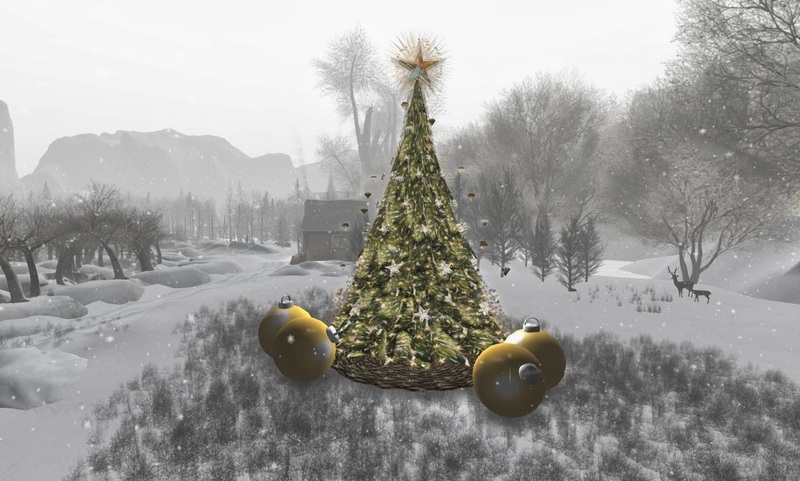 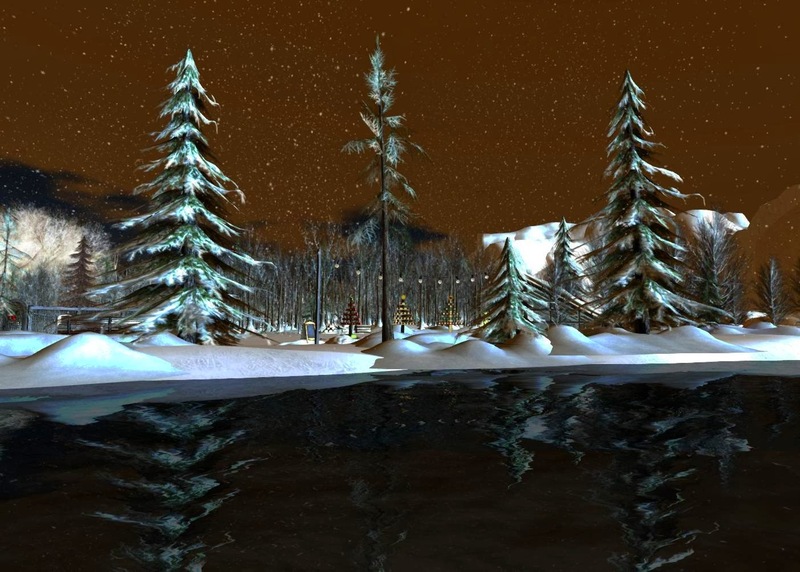 Celestial Realm is one of my favorite Second Life destinations. 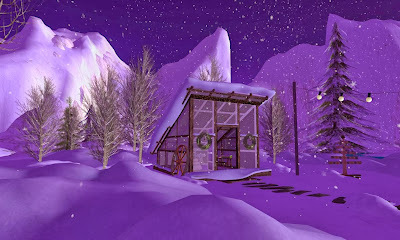 It is now set for the Winter Holidays with a snowy theme. 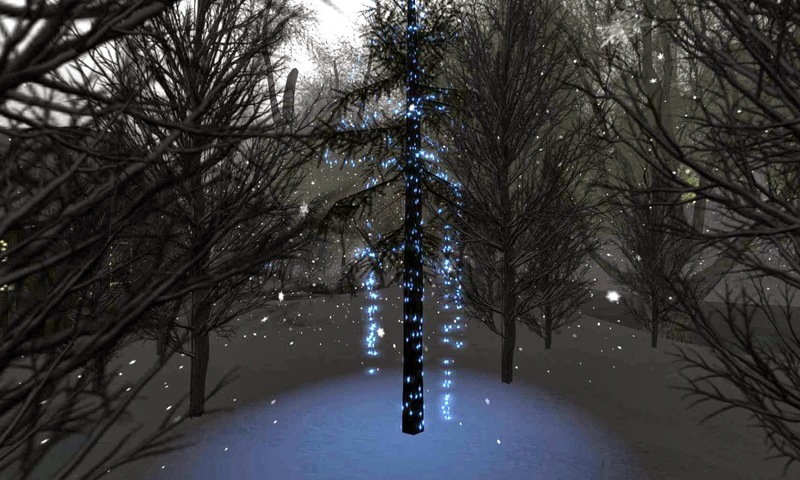 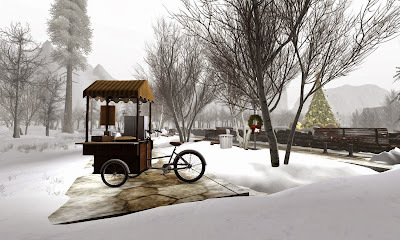 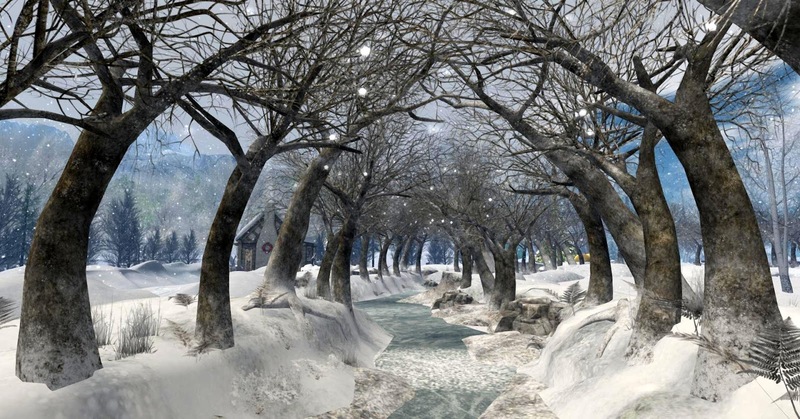 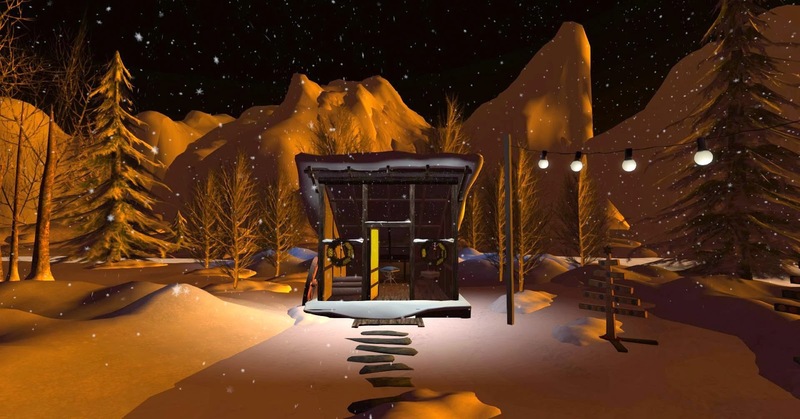 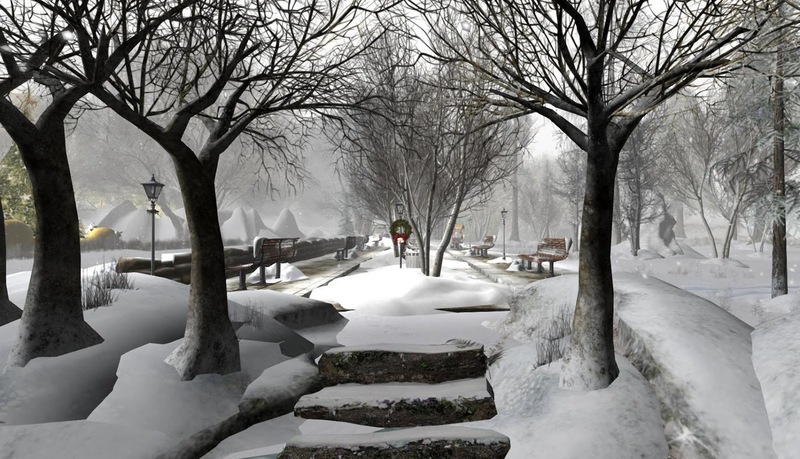 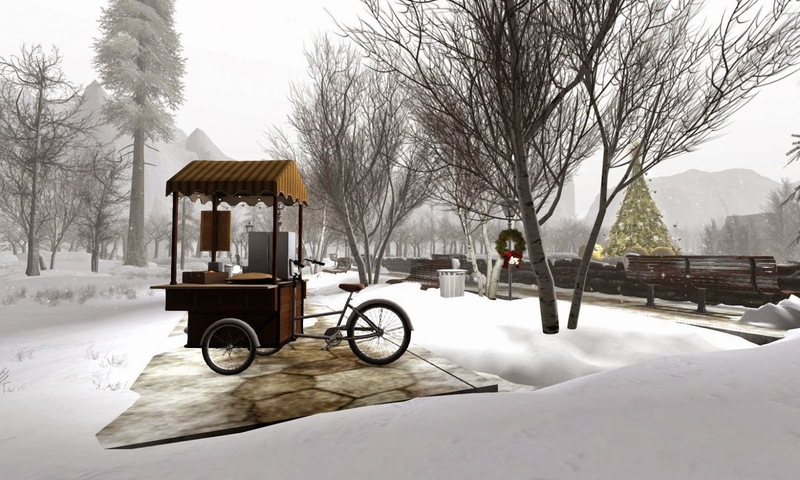 Realism is emphasized here' you can get lost in the snowfall here and forget you are visiting virtual reality with the correct Windlight settings. The last two images are animated GIF's which I made over at Picasion from 4 single images. I used the normal speed setting and the image was set at the large or 400 pixel width size. I enjoy making animated photography, but it is extremely exacting -- the images must line up perfectly to work as an animation.